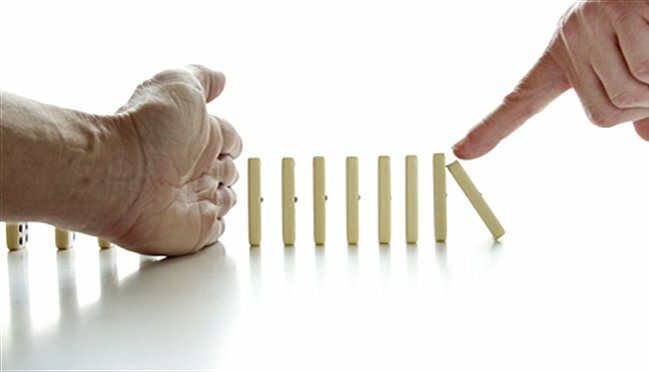 How to manage your risk Forex- A good Risk Managment. Above all it calls for honesty. Too often individuals are criticized for decisions that, at the time, were in tune with the organization’s perceived appetite for risk. But it is never easy to set down effective guidelines and the range of exposures for even a simple transaction can be extensive. For example, an exporter needing to borrow to finance a sale in foreign currency may have to consider counterparty credit risk, funding risk and interest rate risk. The permutations are endless and the costs of hedging transactions to reduce or eliminate every possible exposure could potentially swallow any profit from a deal. How to manage your risk Forex. But what of the improbable. The wholly unexpected or the never-seen-before? Effective risk management requires thinking the unthinkable. This does not in any way lessen the great value of the many sophisticated risk-management systems available. The problems come if people start to think of them, and the models they are based on, as infallible. It is also common for the development of control systems to come after any new risk-related products. Be careful not to bet the business until the exposure is known. To be in business you must make decisions involving risk. However sophisticated the tools at your disposal you can never hope to provide for every contingency. 1- Can the risks to your business be identified, what forms do they take and are they clearly understood? Particularly if you have a portfolio of activities? OR we stop out of a trade because we think we can establish another position at a better level than the previous one. The effort should be to choose a meaningful SL which is neither too close to the entry to get activated soon after entry. Nor so far away from the entry that we have no time or space left for follow up action. The difficult part about the paragraph above is that it requires us to have a Trading Plan or Strategy . And to choose our Entry much more carefully than we tend to do, in accordance with that plan. Follow through action required we come back to the reasons for wanting to stop out. In the first case, when our directional reading has been proved wrong. We should look to enter into a trade in the opposite direction – a case of Stop-and-Reverse (SAR). It needs to be pointed out here that it is NOT necessary to SAR at the same instance and level all the time. If you are an intra-week (or longer) trader, you can enter into a reverse trade after stopping out of the original trade. Allowing yourself time to reformulate your strategy.